I bought this frame for a large Maine oil seascape. The grain of the wood was complimentary to the rippling water and tho' rustic it was not too rustic. The gold could be a bit brighter which is why I didn't give it full quality marks. The frame is very well constructed. The service was outstanding. I ordered it on a Sunday and it arrived well packaged about a week later! Hardware for hanging was included. A very good experience. I would definitely recommend pictureframes.com to artist friends and art purchasers. I’m very satisfied with my new frame. It is well constructed and my canvas giclee fits perfect. Shipping was also pretty quick. I will shop here again. Great, easy transaction and would highly recommend to anyone. I say almost perfect because it was a little heavier are more carved than I expected. The picture looks very nice in the frame. Frame was perfect & true to color as pictured. Called to order and service personnel was very helpful. Great company! My landscape was rich in color and brushwork . The frames soft finish and shaded black tone with the hint of gold picked up the sunlight projected in the painting enhancing my work! Classic frame, works well with a variety of subjects and colors....love the gold inset and hammered look! 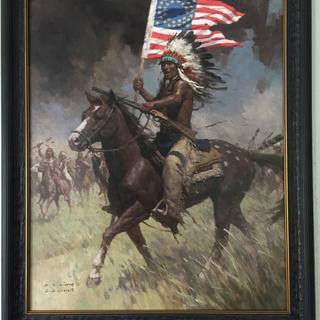 This framing material looks good and will be shown at a national show with a western themed painting that I recently finished. It appears to suit the painting I want to frame.